Spending time with grandparents is invaluable. Some of life’s greatest lessons are learned through the knowledge of grandparents. If you spent time in SW Florida fishing with your grandpa as a child, you are sure to remember the pride that brightened up his face when you caught your first redfish. While your circle of fishing buddies grows over the years, doing some SW Florida fishing with your grandfather is a priceless memory. If you are lucky enough to have your grandfather still around, take him out fishing this Father’s Day and relive the excitement of those childhood memories. And, of course you want your own kids to experience their own SW Florida fishing memories with their grandpa. 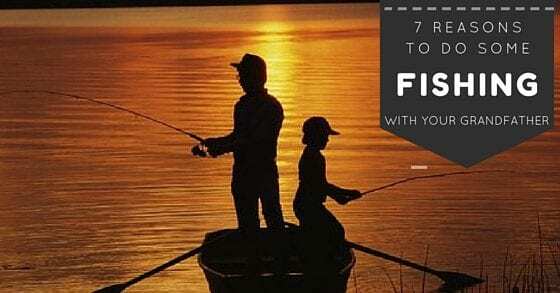 Now is the perfect time to consider the 7 most important reasons why a day spent fishing with grandpa lasts forever. Nothing beats sitting on the dock or the boat for hours at a time with your lines in the water. Even without a word being spoken, the quiet time serves as a bond that lasts a lifetime. True quality time occurs in the stillness of the water with the excitement of the next fish suspended in mid air. Although you may feel that your new, innovative lures and fancy equipment are enviable, it is amazing how an old timer like grandpa can always offer up a fishing trick that gets the job done. You have a lot to learn from grandpa and the way things used to be. Everyone knows who has the best fish stories around. Grandpa, of course. Even though the fish seems to have gotten bigger over the years of telling, grandpa’s eyes gleam as he relives the struggle of that monster tarpon through his enrapturing storytelling. These are the priceless stories that you will repeat over the years to other fishing partners. Grandpas teach patience in fishing. He understands that it may take a few casts to perfectly position the line and that you may have to try a few different lures before you are happy. But he also understands that fish like the calm. And so he teaches you to be calm in order to catch the best fish. Have you noticed how grandpa’s tackle box is always precisely arranged and perfectly organized. Ask him about any lure, hook, or weight and he will explain how old it is and what his reason for keeping it is. In between the fish biting, grandpa makes sure that there is a bite for you, also. Always remembering your favorite snacks, he brings them along in a neat little cooler. Sometimes there is even a hidden snack stashed in there from grandma. Many of us learned our very first fishing from our grandfather. 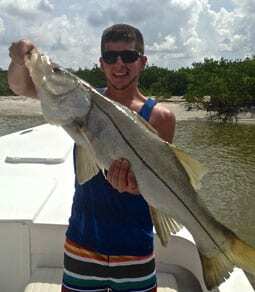 That is how we have come to understand SW Florida fishing and how it is different from other areas. That is also how we learned fishing conservation practices and ethical angling. Hopefully these habits will allow us to fish for generations to come. 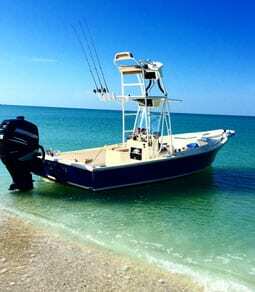 Now that you have warm, fuzzy memories floating around about all of your personal reasons why fishing with your grandfather is the best, schedule a fishing charter for Father’s Day. Then, give grandpa a call.